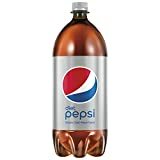 Diet Pepsi is a zero-calorie cola beverage from The Pepsi Cola Company. In 2012 it was the 7th most popular soda in the USA. It comes in a wide range of sizes and a few flavor variations such as vanilla, wild cherry, and lime. 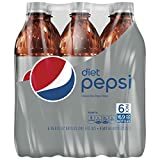 Diet Pepsi is artificially sweetened with aspartame and ace k, but Pepsi announced that soon the aspartame will be replaced with sucralose. However, this didn't make Diet Pepsi fans happy and the older version was brought back. 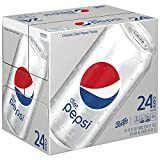 Diet Pepsi with Splenda is available and it has 34 mg of caffeine/12 fl oz can. 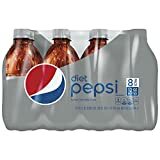 It has come to our attention that Diet Pepsi has a different formulation in the UK, Australia, New Zealand, and other markets and thus has a higher caffeine content there. It contains 42.6mg per 12 ounce (355ml) can. 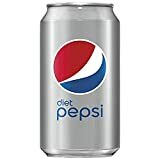 Diet Pepsi contains 2.92 mgs of caffeine per fluid ounce (9.86mg/100 ml).